Home Depot (NYSE: HD) is the largest home improvement retailer in North America. And it’s likely to stay that way for a long time. Since 1978, the HD model has moved across North America and now represents over 2,200 stores across the continent. With nearly 35,000 products available in stores and 1 million online, it certainly is looking to fill the void of local hardware stores, and then some. Over the years, big box retailers, whether we’re talking about department stores or in this case hardware stores, were quite popular for decades. But like the shopping mall concept, it was over produced and the proliferation of the concept threatened its very existence. Some companies went niche and remained local or regional players. But to contend on the national scale took a different kind of mentality to succeed. And HD is only one of a few that could make it work at its size and scale. Part of the challenge in recent years has been the lingering effects of the Great Recession that crashed the real estate market and made it very difficult for regular people to finance houses. What’s more, the significant weight of student debt that millennials and Gen Xers are strapped with also dampened the market. Some studies suggest that demand in the real estate sector has dropped about 20% simply due to the debt levels younger generations are carrying in student loans. There’s no doubt that makes for a difficult market to operate in, much less grow, if you’re a home improvement store. What’s more, in HD’s model, a lion’s share of its profits come from its professional contractors’ side of the business, not from the average homeowner. That makes HD’s continued success even more impressive. But the new challenge is that now that the economy is improving, the Federal Reserve is unwinding the trillions of dollars in mortgage-backed securities it has been squirreling away since the financial crisis. That weighs on lending. And rising interest also weighs heavily on lending. So, on the one hand, when the economy was weak, rates were great but it was tough to buy a house. And now that the economy is improving, rates are rising and the Fed is unwinding all its positions, so it’s getting more expensive to buy a house. Add to that the fact that younger generations aren’t as motivated to buy a house, and all of this is why HD stock is off about 13% in the past 12 months. But that’s better than most home building stocks. You see, HD stock is a rock-solid company that has not only survived through a lot of economic expansions and contractions, but it has expanded its business through them all. HD always finds a way to make money. It’s a classic long-term growth stock that is more reliable than it is flashy. Its 2.4% dividend is a great example. It’s not huge but it’s solid and shows that the company appreciates its shareholders, especially those that stick around. 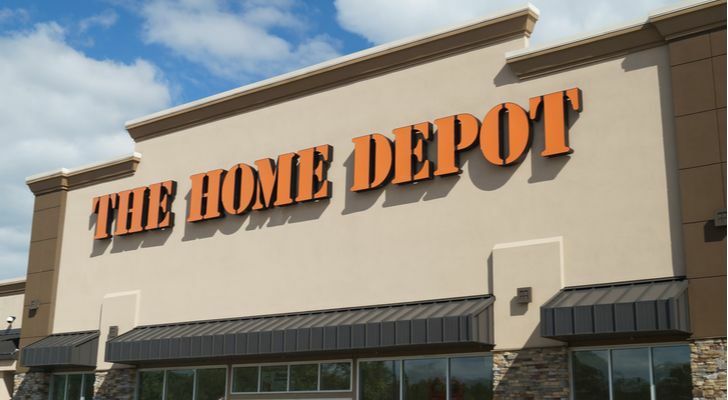 Article printed from InvestorPlace Media, https://investorplace.com/2019/01/home-depot-hd-stock-could-be-the-best-play-on-housing/.